One of our best friends, Del, was in town over the weekend. 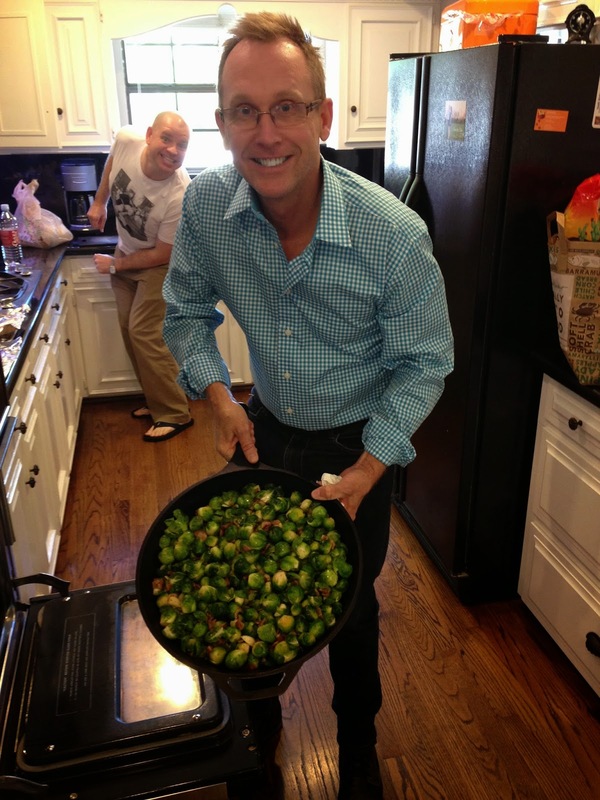 Del makes the best roasted brussels sprouts, and they were a hit at our Saturday lunch. Twice as many brussels sprouts than tater tots were eaten. True story. This weekend Del said: "Patrick, I'm certain when you get older you will be a hoarder." He said this while helping us pack up for the move. I was using too much paper packing up our fragile items. Therefore, our contractor had completed one closest in the new house, which allowed us to delicately transport all my pretty things from the old house to the new house. We loaded my husband's car with tons of blankets, set down a few items, and drove to the new house. Of course, now I'm worried a worker might be tempted to take a few of my treasures. A problem my husband tells me not to worry about. In the old house we painted the inside of all our closets "million dollar red," but in the new house we're painting the inside of our closets "formal garden" green. My brother's wife was touring the house, and she said something like: "Oh, wow these green closets are terrible. I bet you can't wait to paint over these." 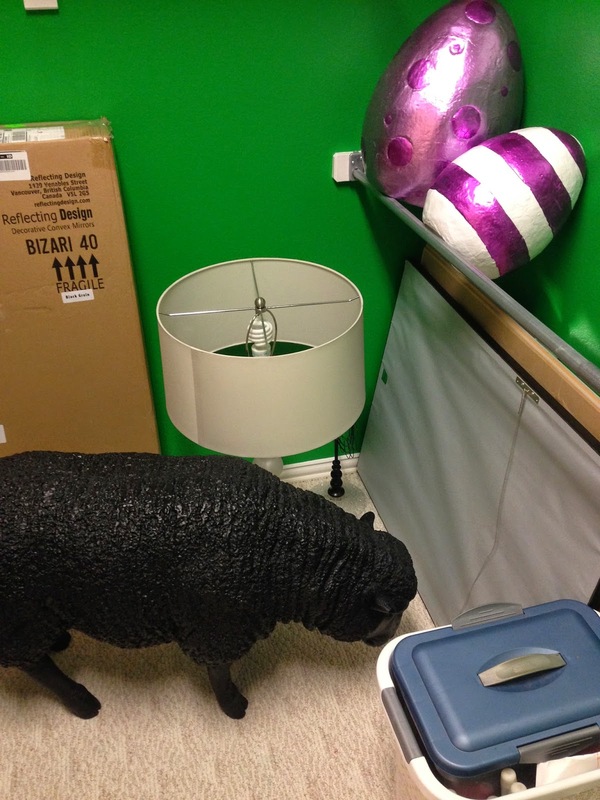 My husband had to inform her that we had the closets painted green! What color are your closets? White? So predictable. I don't like being predictable. GREEN! 1) I would love the Brussels sprouts recipe because they were wonderfully tasty! 3) Del could be right about you becoming a hoarder. But then again, if you did, everything will be perfectly placed. And then back again, I can't imagine you allowing your house to be cluttered. 4) Your brother's wife is so funny. 5) Your blue treasures look good with the glossy green background. What did your painter think about the color? 6) I love hearing about your neighbors.